Ahead of the screening of the first episode of Gold’s The Story of Only Fools and Horses on Tuesday August 29th, here’s an interview with John Sullivan’s son Jim, who is pictured above with his brother Dan and sister Amy on location for the filming of Tea For Three. 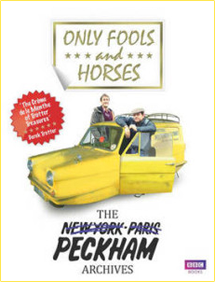 Q: What are your personal memories of your dad writing Only Fools and Horses? A: When I think of dad at work I see him very quietly mumbling lines of dialogue to himself. He’d do this often and usually in mundane situations. Of course, we, the family, knew what he was doing but to an outsider it could appear quite strange. It got so bad that mum refused to go shopping with him because of all the funny looks he was getting in Marks & Spencer. 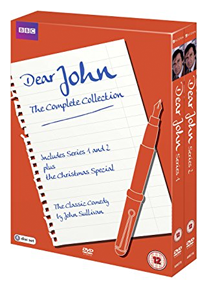 I also remember one year (1986) when he had a deadline to write a series of Only Fools…, Just Good Friends and Dear John, respectively. He worked through the nights to get it all done and it did take its toll on him. But it paid off as that year he won the BAFTA writers award. Q: Did you ever get to visit the set or meet the actors? A: Yes. My brother (Dan), sister (Amy) and I went along to watch the filming of the now famous hang-gliding scene. We were just kids back then and dad thought we’d enjoy watching the stuntman flying about. As it turned out it was too windy that day and the stuntman decided it best to keep his feet firmly on the old terracotta (as Del puts it). So we spent most of the day just standing around on a big windy hill. The family also went to Miami for the filming of the Xmas special ‘Miami Twice’ which was a great holiday. 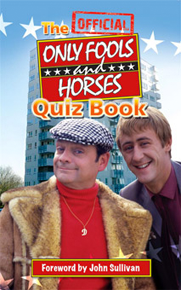 Q: Which Only Fools and Horses character do you think is most like your dad? 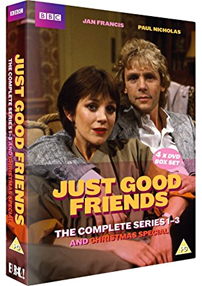 A: He always said he identified more with Rodney, but I think he had elements of both Rodney and Del in his character. Dad was a quiet and somewhat introverted man, more comfortable in the background, observing and thinking and taking notes. 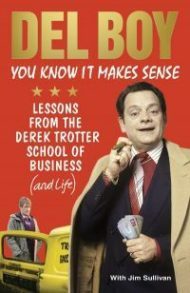 But, like Del, he was also quick-witted and tough and he had a big heart. Q: Your dad left school with no qualifications and yet went on to create such a body of work. Do you think life experiences are more important than a formal education? A: In my dad’s case, yes. Thanks to a brilliant teacher named Jim Trowers, who made the effort to bring his lessons to life, English was the only subject that had a positive and lasting impact on dad. Rather than just getting the pupils to recite passages of classics like Dickens, Trowers would read the stories aloud himself, playing the characters and taking on their accents. After leaving school dad worked a lot of jobs (plumbers mate, window cleaner, delivery driver, a stint in the second-hand car game, to name but a few) and he met many a colourful character along the way, experiences which he used to help build and colour the worlds of his story ideas. 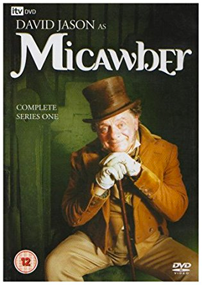 But he always said that it was Dickens, with the help of Trowers, who ignited his imagination and passion for writing. Q: Do you think the success of Only Fools and Horses (and the relative wealth that brought with it) changed your father in any way? Did it change you? A: It changed things so far as we could move to a bigger house and have nicer holidays, but it didn’t change who we were. Dad had a very working class upbringing and didn’t have much, but while he always strived to do well and improve his situation he was also always proud of his background. And though he could eventually afford to dine at the fanciest restaurants, his idea of a perfect meal remained home-cooked double-egg and chips. 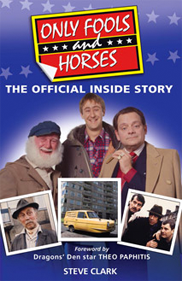 Q: What was it like to watch Only Fools and Horses growing up knowing your dad had written it? What did your mates at school think about it? Was it even a big deal? A: I didn’t know any different so it wasn’t really a big deal to me, but kids at school would sometimes mention it and want to talk about it. I was always aware that dad’s work was a bit out of the ordinary but I’ve always been a bit shy so it wasn’t something I felt particularly comfortable talking about. Q: Do you still watch Only Fools and Horses now? A: Yes I do, although it is more often than not for work related reasons now. 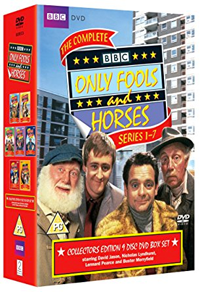 Q: Is it a comfort knowing that millions of people still watch Only Fools… on Gold? A: Yes, very much so. I think it was something I took for granted when I was younger – it was just dad’s job. It wasn’t until the 1996 Xmas trilogy that I began to truly appreciate the importance of what dad did. I remember going to a pub the day after the final episode had aired and almost everyone in there was talking about it and laughing. Then, a few months after dad passed away we had to organise his office and tidy up all his notes and other bits and pieces. I found a filing cabinet full to the brim with the fan letters he had received over the years. He never really mentioned these letters but always tried to reply to them. Reading those letters from strangers saying how the show had helped them through difficult times was another eye opener for me to just how many people dad had reached with his work and the positive impact it had had. Q: What is it like going abroad and hearing people use phrases like “lovely jubbly” at British tourists? A: Haha! It is strange how the phrases travel. I was holidaying in Majorca one year and down by the beach this shifty looking African bloke was flogging watches from the inside of his coat. I think “lovely jubbly” and “you know it makes sense” was the only English he knew, but it was enough and I’m sure I saw him seal a few deals. Lovely jubbly! Q: What was it like for you writing on The Green Green Grass with characters your father had created? A: It was a huge privilege and a joy. 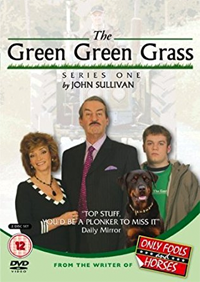 Boycie and Marlene with their love/hate relationship are always great fun to write. Q: What was it like working with your dad? Do you think he went easy on you, or was overly critical? A: I was quite reluctant at first even to present my ideas to him. Not because I thought he would be overly critical but just because, well, it was dad. He looked at them and said that they were good but they needed working on, and that’s how it started. If something didn’t work he wouldn’t say it as such but would instead ask if it could be better, which in turn made you rethink a scene or a piece of dialogue and realise that yes, it could indeed be a lot better. After all those years of observing dad at work and talking to him about the process, it was a pleasure and honour to actually step into that world and work alongside him. Q: Do you want to follow in his footsteps and continue to write for television? If so, do you think being John Sullivan’s son could be a help or a hindrance? A: Yes and no. 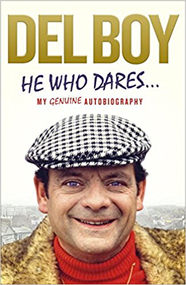 I love to write, but much of that is now in connection with the series, such as the Del Boy autobiography ‘He Who Dares’. Writing the Sport Relief sketch was a great experience but even though it was just a ten-minute sketch I felt a lot of pressure to get it right and do justice to the characters. If the idea was right I would love to try my hand at sitcom, but I’m also interested in film. I think being my dad’s son is a bit of a double-edged sword. Of course it would be natural to compare (and that is one hell of an act to follow!) but at the same time I have had opportunities that I probably wouldn’t have had if my dad wasn’t who he was. I could never dream of achieving what my dad did, and that’s fine. I’d like to just find my own way and do my best. Q: Do you think it’s more difficult to get something like Only Fools and Horses to screen today than when your father did it? A: Sadly I doubt that it could be made today. Or if it was it certainly wouldn’t be the Only Fools that we know. 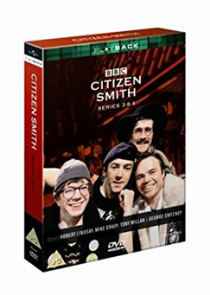 When dad originally wrote the show he wanted it to to reflect the more honest and vibrant multicultural London that he knew (as opposed to the stereotypical ‘Cor blimey guv’nor, have a banana!’ depiction of working class Londoners that had gone before). It was rough, tough and gritty, but audiences were treated as adults back then. Nowadays you only have to mention something a bit foreign sounding and the PC mob are all over it like ants on a sugar cube. To do today what dad did with Only Fools back then would at the very least require warning the audience beforehand about dangerous and unacceptable language. 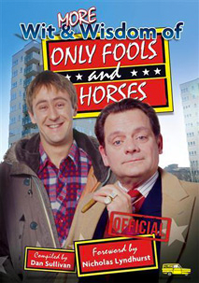 Q: Are there any other shows that come close to Only Fools and Horses in terms of quality/longevity in your opinion? 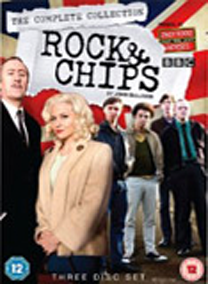 A: I don’t watch that much television today, but there have of course been some great and classic British sitcoms; Porridge, Fawlty Towers, Blackadder and, more recently, The Royle Family, Father Ted and The IT Crowd. Q: Your dad famously wrote and sang the Only Fools… theme tune (and The Green Green Grass) – was he always a crooner? Do you have a good singing voice? A: He always had a passion for music and composing, although he couldn’t play an instrument. I started playing guitar at 15 and a few times over the years he asked me to give him lessons. I was always ready and willing but sadly we never got round to it. I too love writing music. As far as my singing voice goes, there are many words to describe it but ‘good’ isn’t one of them. 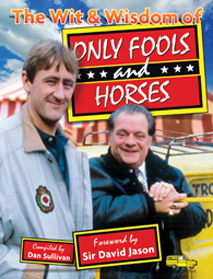 Q: Do you think there will ever be a time when Only Fools and Horses will get re-made or re-imagined? Would it ever be allowed? A: I’ve always said that Only Fools, the series as we know it, was laid to rest with my dad, however that is not to say that the show and its characters cannot and will not be explored in different mediums. All I can say at the moment is: watch this this space. Q: Is it a question of protecting your father’s legacy? A: Absolutely. That has always been, and always will be, my priority. Q: How proud are you of Only Fools and Horses and of your dad’s achievement with it? A: I am immensely proud, not just of the series and its success, but of where my dad came from, his passion and how hard he fought to make it work.